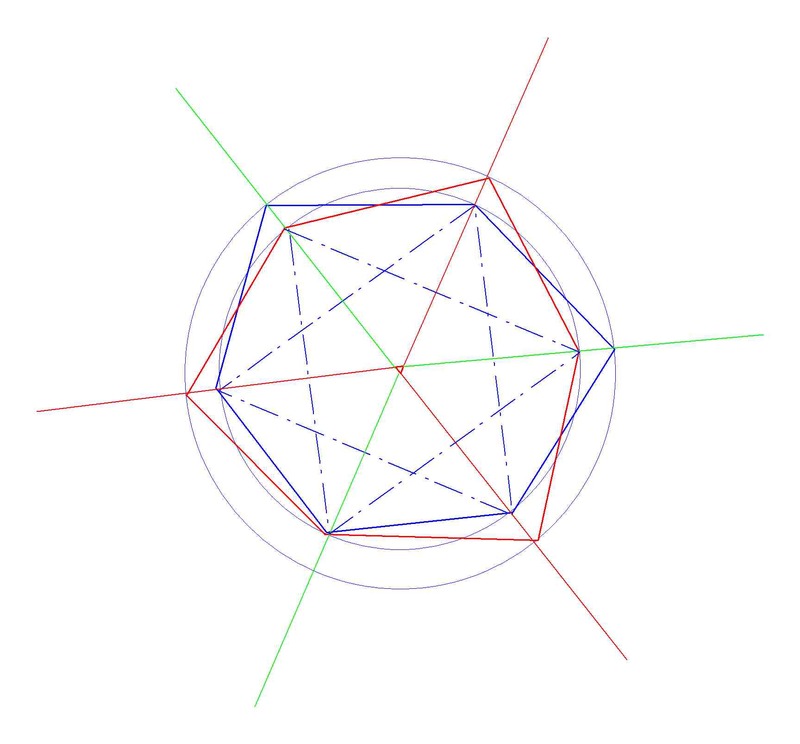 Analysis of central Star of David and overlapping irregular hexagons. Note the overlapping Red and Blue hexagons which appear to be irregular shapes. However they are each based on a central equilateral triangle, with a triangle placed on each side. The central triangles form a Star of David.